Set up 3 Bars and storm through for time. Please note: This WOD is long and logistically complex. If you have the opportunity to attend a daytime class it will help relieve the stress for the evening time slots. Feel free to contact me about coming in outside of the regular class times and I will do my best to accomodate you! Don’t get all excited, I’m talking about gymnastic rings. These are tools that I want to incorporate more into our warm ups and rest day WODs. 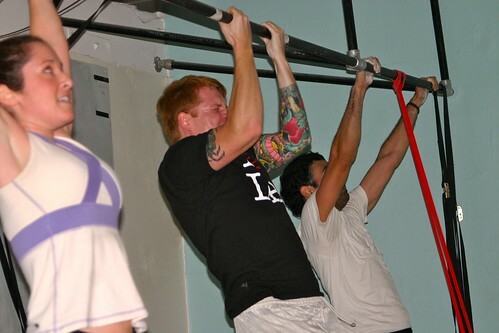 It is a great movement to develop strength in pull ups, develop a front lever and correct muscle imbalances. Check out these free CFJ articles on Beginning Ring Rows and Ring Row Variations.